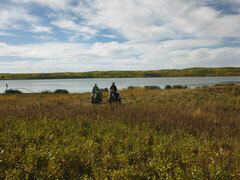 Choose a day and time and we will show you our beautiful environment from the back of a horse. 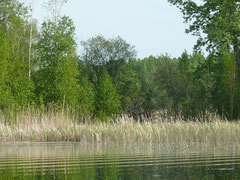 Enjoy the seasons--spring's freshness, summer's lush greens, fall's multi-hued colors and winter's stark contrasts. 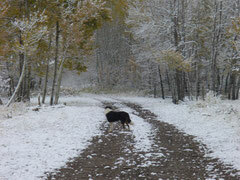 We have lots of different trails. It depends on how long YOU want to go for a ride. 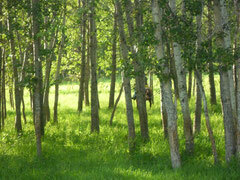 We have an hour trail that goes through pasture and forest and another that goes to the Lake and back. 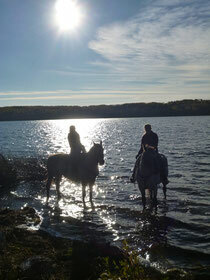 There are several options for two or three hour trail rides. Give us a call and we'll help you choose the RIGHT RIDE FOR YOU! aged 10 and older (or 8 if being ponied by an assistant guide; parent or guardian must be present).